Donkyu Baek received the B.S. degree in Electrical Engineering from Hanyang University, Seoul, Korea, in 2009, and the M.S. and Phd degrees in Electrical Engineering from the Korea Advanced Institute of Science and Technology (KAIST), Daejeon, Korea, in 2011 and 2017, respectively. He worked with Professor Naehyuck Chang, his PhD advisor, in 2017 as a postdoctoral research fellow. 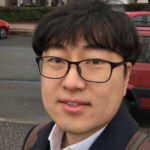 Since January 2018, he is with the Department of Control and Computer Engineering at Politecnico di Torino as a postdoctoral research fellow.His current research interests include 1) low-power electric vehicle including runtime and design-time design optimization, 2) implementation and commercialization of energy harvesting system with photovoltaic (PV) panels and thermoelectric generator (TEG) modules, and 3) low-power delivery drone.